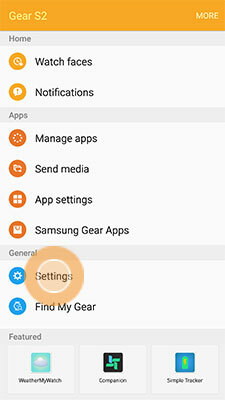 When you connect your Gear S2 to a new mobile device, you will need to reset your Gear S2. 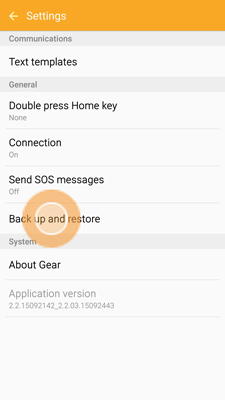 The Light reset option will preserve your personal data, but it's still a good idea to back up any data stored on your Gear S2 before performing any reset. 5. Touch Back up data to back up your current data, or touch Restore data to restore previously backed-up data.